Microsoft Corp. on Monday unveiled its first ever computer in California. This news has become one of the most talked about updates in the science and technology world. 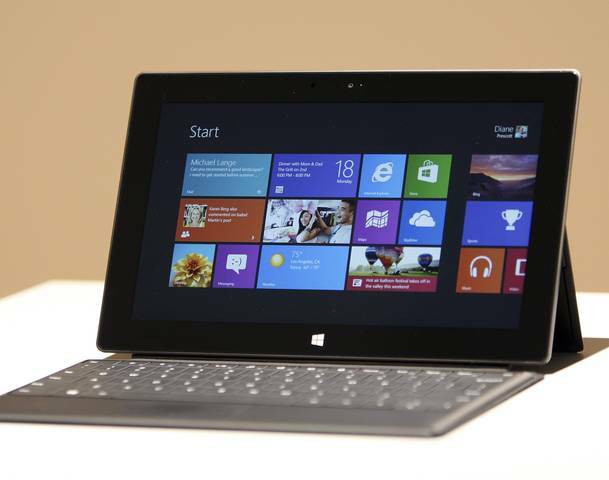 With its first ever tablet, called the Surface, Microsoft Corp. plans to dominate a market that is ruled by Apple Inc. The new tablet by Microsoft comes with a keyboard and has several other additional features that make it a competitive product in the market. According to Wall Street Journal, Microsoft chief executive officer Steve Ballmer launched the Surface tablet during the press conference in Milky Studios on June 18. The press conference was essentially held to promote the new tablet, but it was an indication that Microsoft plans to leverage its position in this market. Surface looks a lot like iPad – which shows how the product has been positioned against Apple’s product in this category. If they’re able to do well, they could be a threat for the iPad. As far as the design elements are concerned, Surface is just 9.3 millimeters thick and weighs 1.5 pounds. These dimensions are very close to Apple’s iPad, which is 9.4 millimeters thick and 1.44 pounds. The Surface has a 10.6-inch screen compared with the iPad’s 9.7-inch screen. The tablet also comes with a built-in magnetic cover, which also serves as a touch keypad. So far, names of the contractors who will develop the hardware and software haven’t been released, but information about the interface was shared at the press conference. The interface is called Metro and it is specially designed to be controlled by a user touching a display. The tablet will run on Windows 8 and Windows RT and users will be able to use Microsoft Office Suite. This feature might seem interesting for working professionals. Microsoft has been working on tablet-style computing for a very long time. They have been supplying software to various companies that produce pen-style devices, but they weren’t so successful with this business proposition. Finally, after years, they have launched a product in the market that can be a potential competition for Apple’s iPad.